Stafford’s Top of Michigan Marathon – A USATF CERTIFIED COURSE to benefit the Top of Michigan Trails Council and Petoskey High School sports teams. The marathon race will be run on a beautiful course made of asphalt that starts in Charlevoix, follows the coast line to Petoskey, and finishes in Harbor Springs. The trail is an excellent venue for runners stepping up to a marathon or seasoned runners looking for a fast time. The trail is relatively flat and perfect for getting a qualifying time for other races. There is a grassy half-mile section run on the bluff in Bay View (to avoid pedestrian traffic). 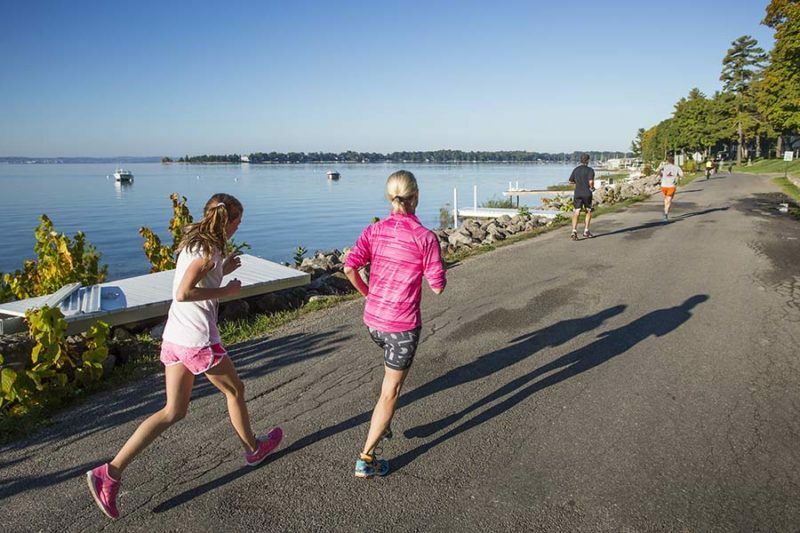 Runners will enjoy many spectacular views of the Little Traverse Bay. The course veers from the Wheelway north of Petoskey to follow Beach Rd. east to Harbor Springs, which affords runners a more scenic route along the bay. The half marathon is run on the same course after it begins in the village of Bay Harbor. These runners will also finish in Harbor Springs. The 10K run/walk starts at the Top of Michigan Trails Council’s Packy Offield Trail Center and also finishes in Harbor Springs. The details of the 5K run/walk events will be coming soon! One will begin and end in Charlevoix, and one will begin and end in Harbor Springs. Get more event details and registration HERE.